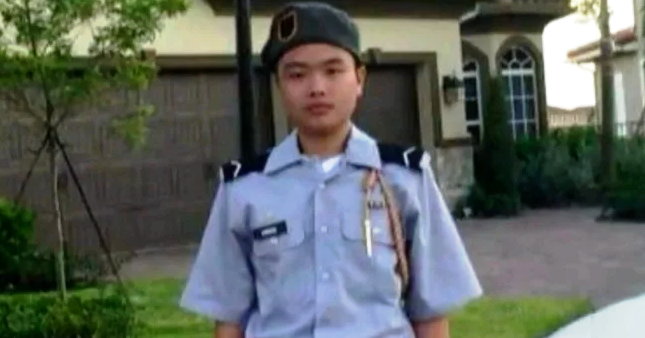 Peter Wang, Junior ROTC (JROTC) cadet was shot and killed while trying to save other students at Marjory Stoneman Douglas High School. This brave young boy gave his life saving his school mates and people are voicing their complete support for him to be buried with full military honors. During the shooting at Marjory Stoneman Douglas High School, he held the door open so other students could safely escape. Unfortunately, he couldn’t escape with the other students and died after being shot multiple times, reported The Sun-Senitel. 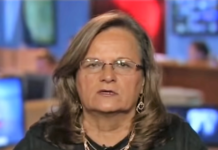 Fox News made a report on this case saying that unfortunately ROTC does not provide basic military training and therefore isn’t considered to be “in the military.” But this did not stop more than 30,000 to believe Wang’s bravery earned full military honors and have taken their request to the United States government. In order for the White House to consider and respond to this request, the petition for Peter Wang’s funeral requires 100,000 signatures in 30 days. ‘A military funeral would really help the family,’ Jesse Pan, a family friend told the New York Daily News. ‘They are devastated’ he added. 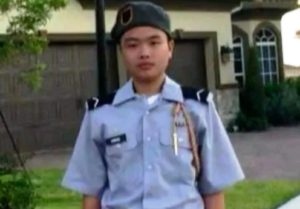 Jesse Pan also added that Wang’s parents are Chinese immigrants and moved to Parkland specifically so their son could join the JROTC program. Peter wanted to be a role model for his younger brothers. ‘I want people to know that he died a hero’ Aiden Ortiz, one of Peter Wang’s close friends told ABC News 10. If military option is not available, than he could receive the Presidential medal of freedom post mortem. This medal is given to civilians that have done much less than this brave young boy. Spread this everywhere if you agree and let’s send our prayers for this young soul! Amen.